Pinterest has 150 million monthly users—and 93 percent of them use the site to plan or make purchases. As a discovery and research tool, Pinterest is a key part of the buyer’s journey. Continue reading to learn how you can use Pinterest to make money and grow your business. These benefits drive awareness, engagement, and traffic—which collectively help increase revenue. An internal brand study found people who saw Promoted Pins had 40 percent greater awareness of new products and 50 percent higher purchase intent than those who hadn’t. To make money on Pinterest, you first need an audience. Run a traffic-generating campaign with Promoted Pins to people to your website and boost sales. Advertisers who run traffic campaigns see an average of 20 percent more clicks in the month after the start of their campaign. Lingerie and lifestyle brand Adore Me saw a whopping 4,000 percent increase in Pinterest-referred revenue thanks to a Promoted Pins campaign. Not only that, but they saw a 50 percent increase in their click-to-purchase rate on Promoted Pins when compared to other channels. For more information on Promoted Pins, check out our post Pinterest Ads: The Complete Guide for Business. Instead of being given the choice of whether to save the Pin or go to the source, users are automatically taken to the Pin’s origin. 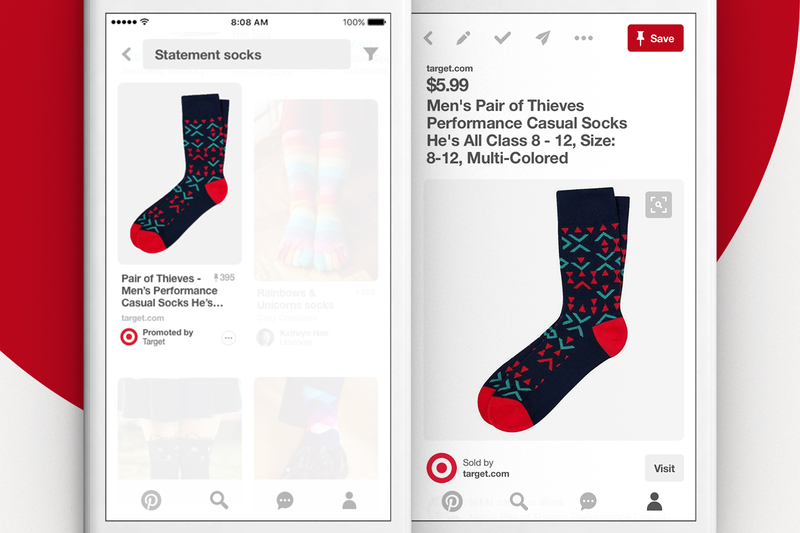 Twice as many Pinterest users are finding items to purchase through the new One-Tap Promoted Pins since the feature launched. One-Tap Promoted Pins can be identified by a small arrow in the right-hand corner. 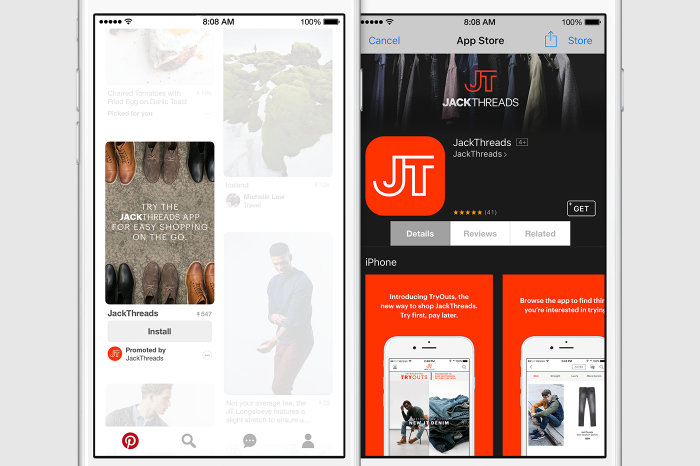 Promoted app Pins round out Pinterest’s offerings for app developers and marketers. In addition to promoted app Pins, Pinterest users can click on regular App Pins to install iOS apps without leaving Pinterest. Pinterest video has the power to convert. Sixty-seven percent of Pinterest users say video inspires them to take action, compared to 32 percent of users on other social media platforms. 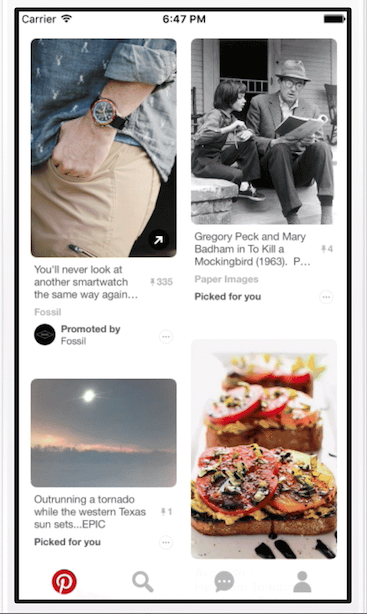 Pinterest’s Promoted Video Pins play within the platform and save the user from having to click away. Once the user watches the Promoted Video, they are given a selection of related ideas—such as pages to visit and Pinterest boards to follow—that show them how things work, or where they can buy the products showcased in the video. Footwear megabrand Hunter Boots used a storytelling format with their Promoted Video ads on Pinterest to launch a new collection. They used longer videos to celebrate the joy of rain and shorter videos to highlight specific products. During their Promoted Video campaign, Hunter saw Pinterest branded search traffic rise by 30 percent. More searches mean more people seeking out a product—a boost that’s reflected in your sale numbers. Search marketing allows brands to engage with customers earlier in the buying journey. Over 2 billion searches per month happen on Pinterest—most of them for products or services people are looking to buy. Pinterest partnered with digital advertising leader, Kenshoo, to launch Search Ads in January 2017. “With Search Ads on Pinterest, our clients can promote visually engaging ads as consumers search for relevant products,” Will Martin-Gill, Kenshoo’s Chief Strategy and Development Officer says. Sixty-three percent of users say Pinterest has introduced them to a new brand or service. Brands who advertise on Pinterest using formats such as Search Ads are able to reach consumers before they’ve made final buying decisions. This fuels audience growth and higher sales. An Oracle Data Cloud study found CPG brands who advertised on Pinterest saw five times more revenue per impression. What’s more, 70 percent of retailers’ additional sales came from new customers who found them through Pinterest’s advertising options such as Search Ads. 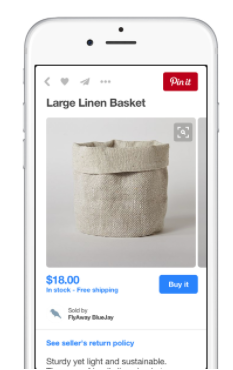 Buyable Pins let users purchase products or services with just a few clicks—without leaving Pinterest. Buyable Pins are recognized by their blue price and a “Buy It” button in their description. Thanks to integrations with eCommerce platforms such as Shopify, customers can checkout without leaving Pinterest and sellers can track their Buyable Pins’ performance. Buyable Pins helped ethical shopping site FlyAway BlueJay boost their sales, especially among new audiences. The online shop used Buyable Pins to reach new customers, increase leads, and achieve sales goals. “Pinterest is the number one source of social traffic and sales for the shop,” shares Holly Feld, FlyAway BlueJay’s owner and founder. By creating boards that included a mix of Buyable Pins and non-Buyable Pins, FlyAway BlueJay inspired audiences and highlighted their products at the same time. Thanks to this, 100 percent of their Buyable Pin sales came from brand new customers, with Pinterest driving 20 percent of their overall sales and 28 percent of their overall web traffic. “Buyable Pins make Pinterest more user-friendly for both people shopping for the perfect gift and for businesses trying to reach new clients,” Feld explains. For more information on Buyable Pins, Pinterest offers a resource helping you learn how to get started with Buyable Pins, as well as a Pinterest Board sharing tips and tricks for using Buyable Pins. Pinterest offers powerful ways to drive sales and leads—generating revenue for your business. With a variety of promotion and advertising options, you can pick and choose the solution that makes the most sense for your brand. Create new Pins, schedule drafts for later, or Pin to multiple boards at once—all from within the Hootsuite dashboard when you install Tailwind from the Hootsuite App Directory.